Some are asked: Why pendulum? Is it accurate? Well.. What about intuition… Is it accurate? 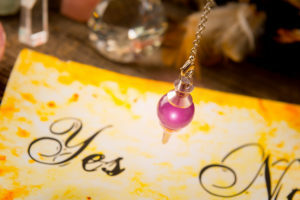 The pendulum can be thought of as an extension of the intuition, since it is used to gain access to information that exists at the subconscious level of the Inner Being. It could be said that it strengthens or amplifies the intuition because it converts the subtleties of the intuition into a more obvious form of physical motion. When you ask a question of the pendulum, it is your own intuition that answers it. The pendulum merely allows you to physically see what the intuition already knows. 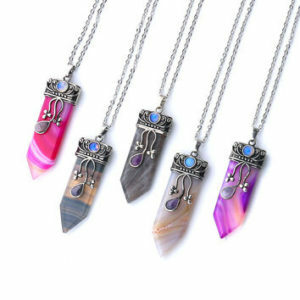 As an extension of the intuition, the pendulum can give you information from the same two sources as the intuition: from your own subconscious mind; and from your guidance, spirit, or guardian angel. Because of how it operates, the pendulum can only answer questions that are phrased so that the answer is either “yes” or “no”. As long as you keep your sights on the fact that you are the pendulum, that your subconscious mind is really providing the answers, you avoid making the tool more important than the consciousness behind it. Keep your pendulum in a safe and special place to help maintain your vibration on, in and through the pendulum. The number one reason for inaccurate pendulum reading is vague and faulty wording of the question. The number two reason is your psychological state, the thoughts, emotions, feelings, images, desires, hope, wishes, etc. that vibrate in and through your psyche. These things can influence the answer. The third source of pendulum inaccuracy is lack of patience. Approach the pendulum one day at a time. Watch, wait, see and try again. Inaccuracy occurs when there is lack of concentration. Practice focusing on the questions until you are able to concentrate and hold your attention steady during the time you are working with your pendulum. In the beginning there is a tendency to consult the pendulum every time you have to make a decision. At that point the pendulum stops being a tool for cultivating intuitive perception and starts becoming a mental-emotional-spiritual crutch. Do not depend on it to the exclusion of your own common sense. The pendulum is not designed to predict the future. This is because future events are not set in stone, but are determined by people’s free will. It is only possible to predict the future to the extent that you know what future choices people are most likely to want to make. A pendulum can help you predict future events only to the extent that you yourself understand what the possibilities are. In other words, it can help you select among the possibilities you are already aware of. But when other people’s choices are part of the possibilities, free will comes in and increases the variables to the extent that it becomes impossible to predict what people will choose to do. Use the pendulum wisely to develop awareness, perception and intuition. These skills of consciousness are within and only need to be brought out through repeated use. The pendulum is only one way to help bring them out. 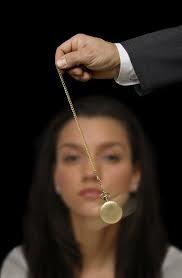 Until you have had a lot of experience with the pendulum, do NOT try to use it to get information for someone else. There are ways to do this but it is difficult because the information comes from inside the person using the pendulum, and in order to use the pendulum on behalf of someone else, you have to be very tuned into the other person. Anyone can use the pendulum for himself, but few can use it for others. So don’t do pendulum readings. Instead, make it a personal tool for yourself. Forcing the situation. Using the pendulum even though the time or circumstances may not be right. Being off Center: Feeling mentally or emotionally out of balance. You need to be in the right frame of mind. Focusing too heavily on the pendulum itself, and not enough on the information inside you. Being too close to high frequency electrical equipment (operate at least 3 ft from a TV or computer screen). If you start to work with the pendulum, and you are not getting clear swings on the answers, then go over what could be causing this. Ask the pendulum “Is there a more appropriate time?” (perhaps there are children screaming in the other room), or “Is there a more appropriate place?” or “Is there a more appropriate way to state the question?” These are always easy questions to get accurate answers to. Becoming more conscious of who someone is inside, to know his motivation, his compatibility with you. You can even use the pendulum with a map. Put the pendulum over a small area of the map and ask “Is Bowser here”?, and narrow it down in this way. Part of the knowledge that comes with experience in working with the pendulum is learning to sometimes start with broad questions, and then narrow them down. 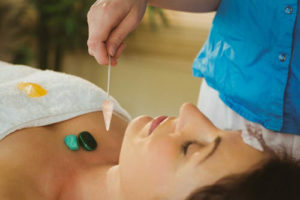 The pendulum can be used to analyze what is going on in the human body. Each person subconsciously knows everything that is going on inside his body. This includes not only the physical things that are going on in the body, but also the mental, emotional and spiritual things. He knows what vitamins he is deficient in, what diseases he has, and why he has those diseases. He knows whether a product he is holding in his hand is toxic, allergenic, or useful and beneficial. He knows why he feels afraid under certain circumstances, and he knows what he needs to work on in order to grow spiritually. All this subconscious information can be made available to the conscious mind by learning to tune in to it with the aid of the pendulum.